A great introduction to modern art. 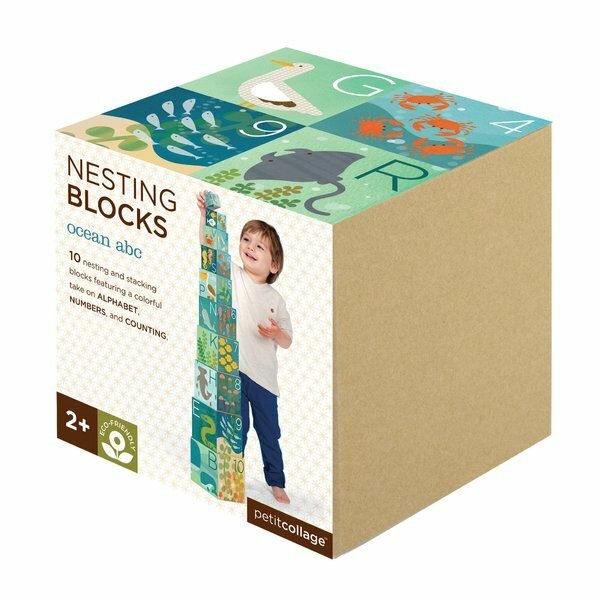 Ten durable nesting and stacking blocks combine bright graphics with a classic developmental toy. Each nesting block contains 10 cubes printed on 5 sides with vegetable based inks and measures close to 3 feet tall when fully assembled. Made with 80% recycled content. Conforms to CPSIA and ASTM standards.